The scientist in charge of the geosequestration research arm of the CSIRO says the world can’t “bury its head in the sand” over carbon capture and storage (CCS). At the recent international LNG18 Conference in Perth Dr Linda Stalker says in her interview with Babs McHugh (ABC Radio) that both the International Energy Agency (IEA) and the Intergovernmental Panel on Climate Change (IPCC) state large scale deployment of CCS is one of the measures needed to keep global temperatures down. In the geosequestration form of CCS, carbon dioxide emissions are removed from industrial processes, oil and gas and buried. Many emissions intensive industries produce carbon dioxide not only from the energy needed for processes, but the manufacturing systems itself. This includes making products like steel, cement, bricks, iron, chemicals and fertilisers. Many environmentalists are sceptical about the benefits and economic viability of the system. The first post-combustion CCS has been deployed at the Boundary Dam coal-fired power plant in Canada. It has come under fire for not being cost effective, but Dr Stalker said it had provided valuable real-life data to work with. “Yes, the costs were high, but they’ve already identified 30 per cent cost savings on the next phase of the activities,” she said. 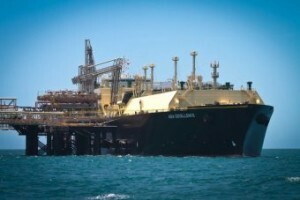 The recently commissioned Gorgon LNG project on Barrow Island, off the Western Australian coast, has also commenced the largest CCS project of its kind. Carbon dioxide, which occurs with the natural gas methane, is stripped from the gas before it is liquefied for export and buried in saline aquifers more than two kilometres below the sea bed. Dr Stalker said CCS had been used in enhanced oil recovery for almost 60 years. She said in the US, carbon dioxide had a monetary value as it was piped long distances for the same use. Dr Stalker said research needed to be collated and built upon and was adamant the need for CCS was urgent. “We can’t bury our heads in the sand about what this all means,” she said.